What it takes to join the Les Mills tribe. Once you're signed up for initial training we will send you all you need to prepare. The training will challenge and inspire you. You'll walk away with the tools and techniques you need to create life-changing fitness experience in every class. At the end of the two day initial training module you'll be assessed and potentially granted trainee status - which means you're well on your way to teaching anywhere in the world. You will have up to 2 months to submit a video of you teaching the Body Balance class for review and the possibility to receive your certification status from Les Mills. WHAT IS BODYBALANCE? Ideal for anyone and everyone, BODYBALANCE is the yoga-based class that will improve your mind, your body and your life. During BODYBALANCE an inspired soundtrack plays as you bend and stretch through a series of simple yoga moves and embrace elements of Tai Chi and Pilates. Breathing control is a part of all exercises, and instructors will always provide options for those just getting started. 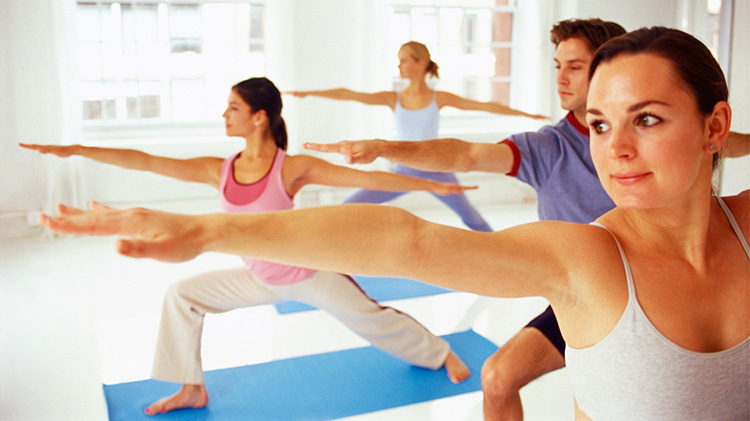 You'll strengthen your entire body and leave the class feeling calm and centered. Happy. Participants must fill out a registration form. All fields are required and must be signed prior to payment. Registration and payment can be made at Tower Barracks Fitness Center, B170 and on Rose Barracks at Jesse L. Williams Fitness Center, B323.